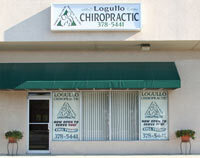 Logullo Chiropractic is conveniently located at 600 North Broad Street in the Middletown Shopping Center. We have been honored to serve the community since 1999. The ultimate combination of Chiropractic with corrective exercise, nutrition and time tested healing therapies. 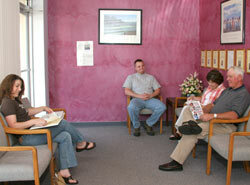 Our office is warm and friendly and we enjoy working with people to restore health and improve their quality of life. We are dedicated to helping you with the most effective, advanced, and gentle techniques in safe and comfortable surroundings. A doctor with years of experience and success in helping with both mild and the most serious injuries. Feel better, look better, move better and have more energy through a unique program designed to match your individual needs. Learn simple and low cost things that you can do to improve your own immune system and help your body heal faster. Enjoy the convenience of a great location and a “no-wait” policy in which we see our patients within a few minutes of their scheduled time. We value your time, it is as important as ours. Gentle, safe and effective care with the accuracy of on-site x-ray directed by a National Board Certified Chiropractic Physician. Affordable payment options to meet a family budget. We have a “no-wait” policy, meaning you will be seen within a few minutes of your scheduled appointment time. We offer all new patients a NO OBLIGATION, FREE CONSULTATION. This gives us a chance to get more information about your specific problem and answer any questions you might have about our office. With your consent, we can then proceed with a thorough evaluation to find the root cause of your problem. Regardless of your health goals, please understand that we see ourselves as a personal health coach. You’re the boss! It’s your body, your health and your future. Our job is to offer you the finest chiropractic care possible, and it’s up to you to decide how much of it you want. We’d love to meet you and answer your questions. Give Logullo Chiropractic a call today! No Obligation Free Consultation. Find Out How We Can Help You!